I hope y’all are enjoying my pun. Because I have been wanting to write it for a year now — basically ever since our first meal in Budapest. 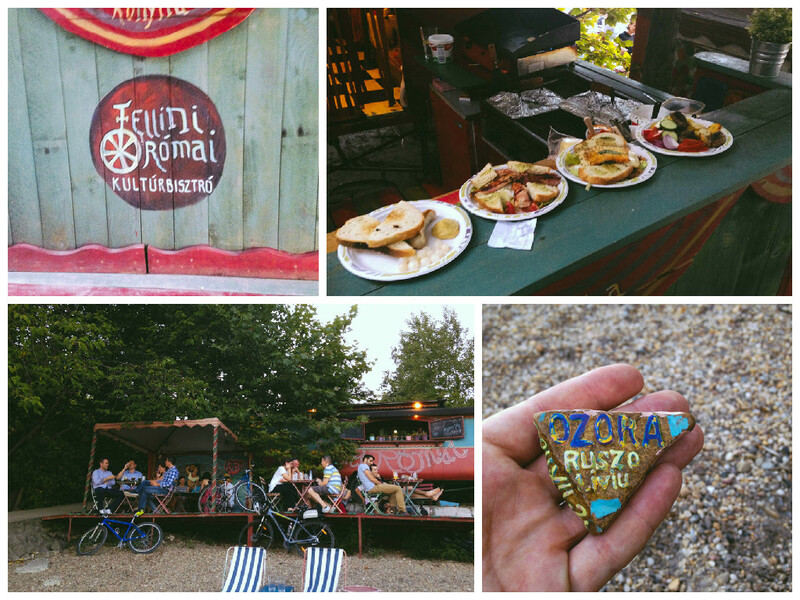 Because we ate like there was no tomorrow in Hungary’s capital. 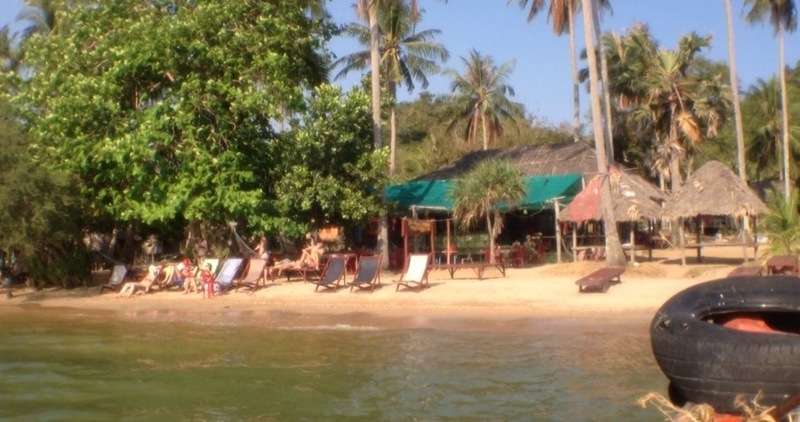 We ate as if we’ve been starved for the previous 11 months of our RTW trip. We ate as if no good food exists elsewhere in the world. Basically, we were constantly Hungry…even if we had just stuffed ourselves an hour before. 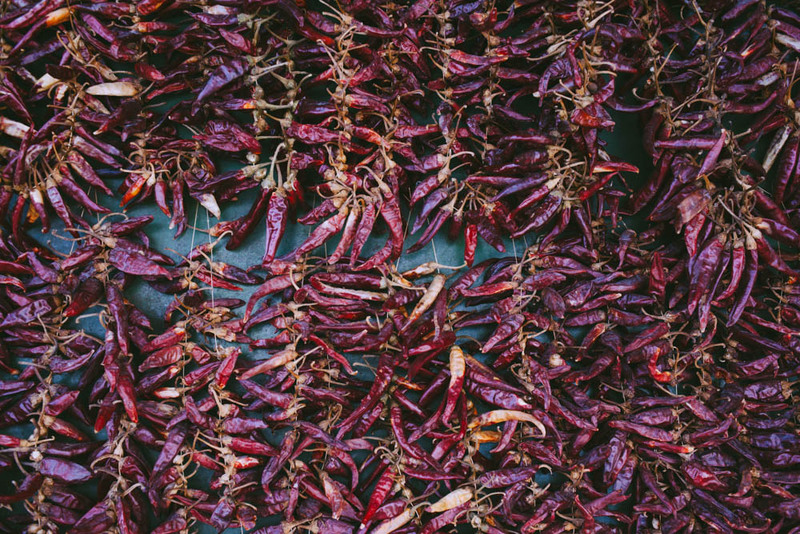 Peppers dried in preparation of paprika – the national spice of Hungary. I mentioned before that itineraries are really not that necessary for visiting Budapest – not for the lack of things to do and see, but because the city is compact, making it rather easy to cover most landmarks even if you don’t do much research beforehand. I would make a major exception here for food and drink. 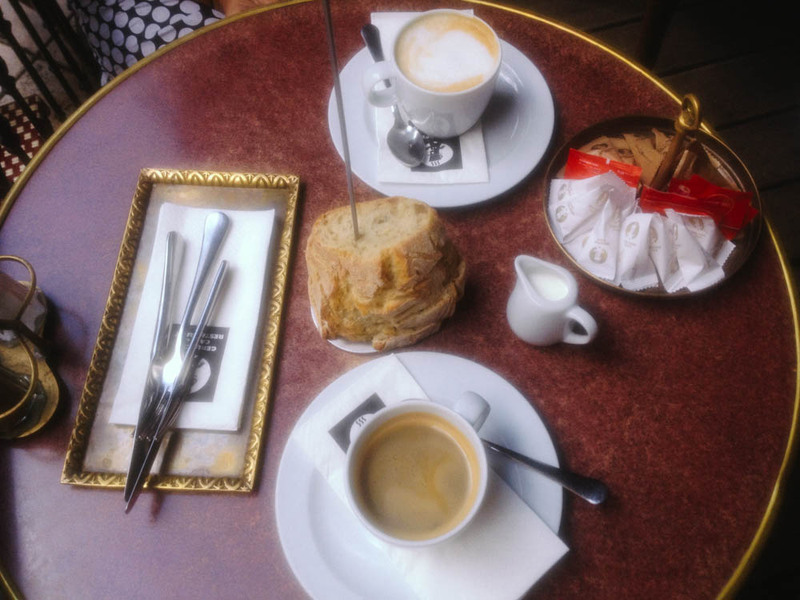 Although I would wager that you could eat tasty meals without much knowledge of the restaurant and cafe scene in Budapest — I am quite confident that much like Paris or Moscow or other European capitals, a little research can return major rewards. So maybe we were constantly hungry in Hungary because we were very fortunate to have multiple recommendations from local hosts, friends who’ve lived in Budapest for a number of years, and others who’ve visited and had unforgettable meals in Hungary’s capital. While I can’t take credit for discovering most of these gems, I can pass on the information to all of you to enjoy. Al fresco breakfast and lunch in a very atmospheric courtyard. It’s slightly on the pricier side, so for us breakfast was the best bet. We were there more for the lovely ‘old world’ experience, rather than the food, which was perfectly good, but the ambiance here is the big winner. 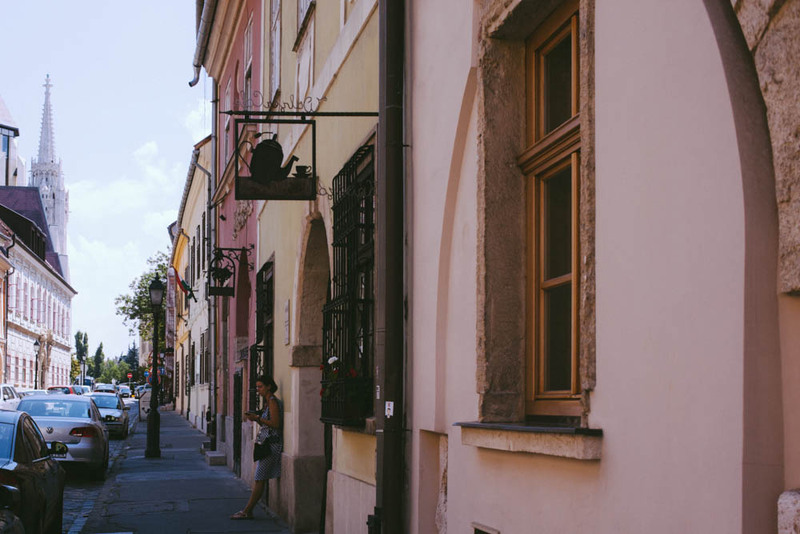 Kispiac was our favorite place that we’ve tried during our week in Budapest — we came here on the first day, and made a return pilgrimage several times after that. 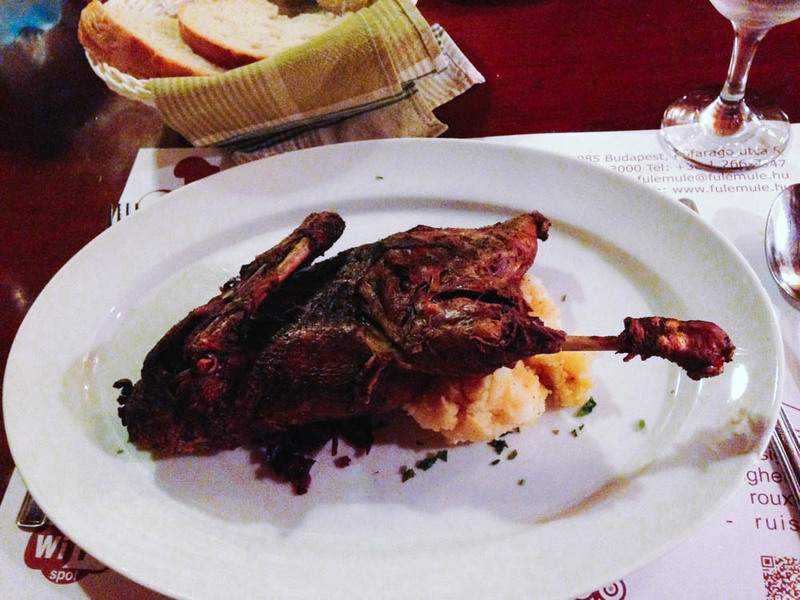 They are known for their duck – which is butchered fresh and sells out most days well before the end of dinner service. So go early! 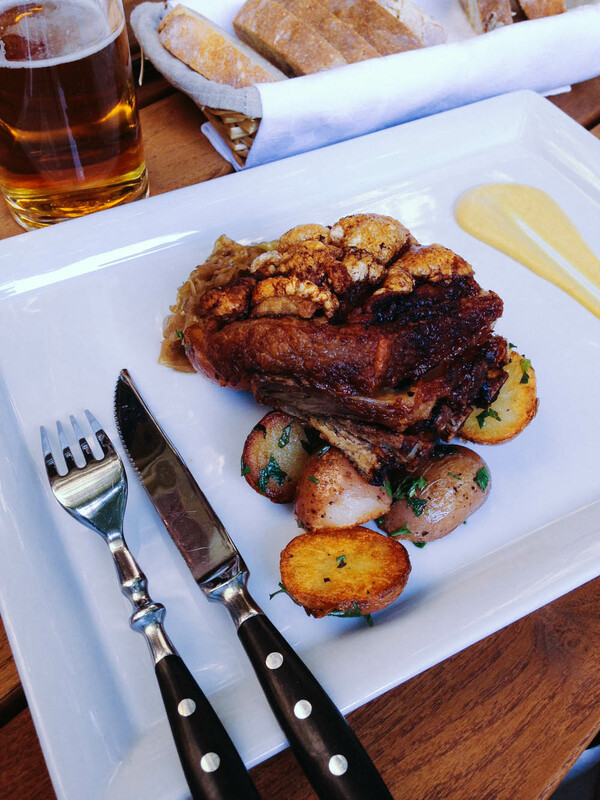 We’ve tried other dishes here as well, and everything was delectable. The mom and pop restuarant also serves homemade prosecco on tap, and it was delicious! 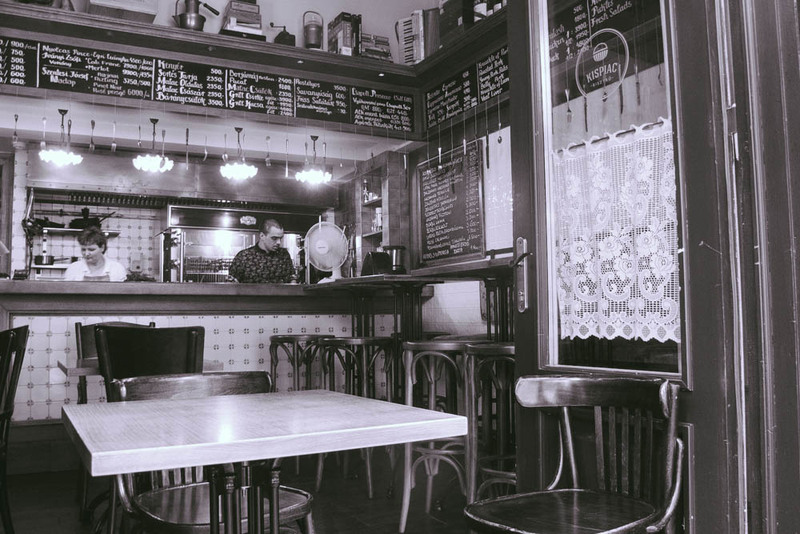 An old school, family run restaurant known for their meat dishes, yes, including duck. It is very, very good. Half a Duck dish – delicious stupor. Fülemüle Étterem, Budapest, Hungary. Ok, this one you might have to drive to, or maybe bike – we saw lots and lots of bikes. So either get a bike / an Uber / or find a car / friends with a car – and definitely come here in the summertime. Because this place was awesome. 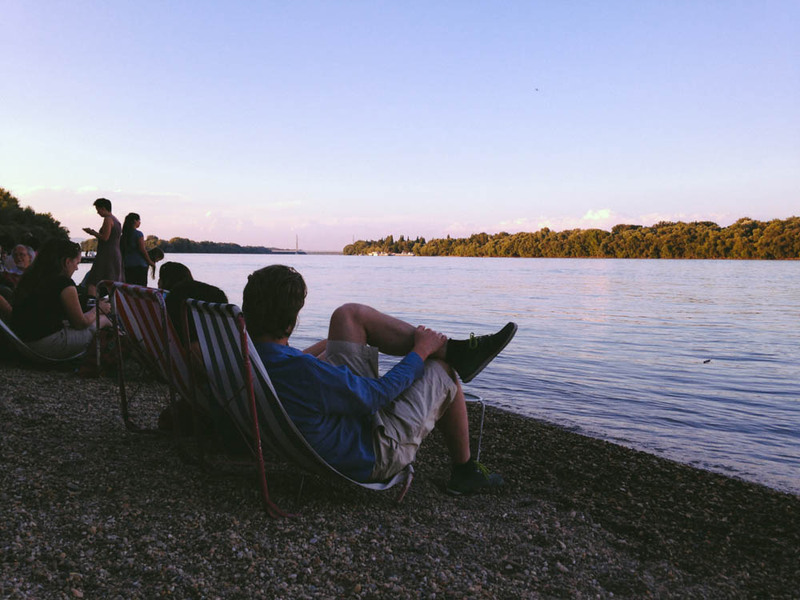 Sitting on the river in beach chairs, relaxing to good music, watching the dusk settling in while enjoying some bbq – amazing. Fellini Római Kultúrbisztró in Budapest, Hungary. 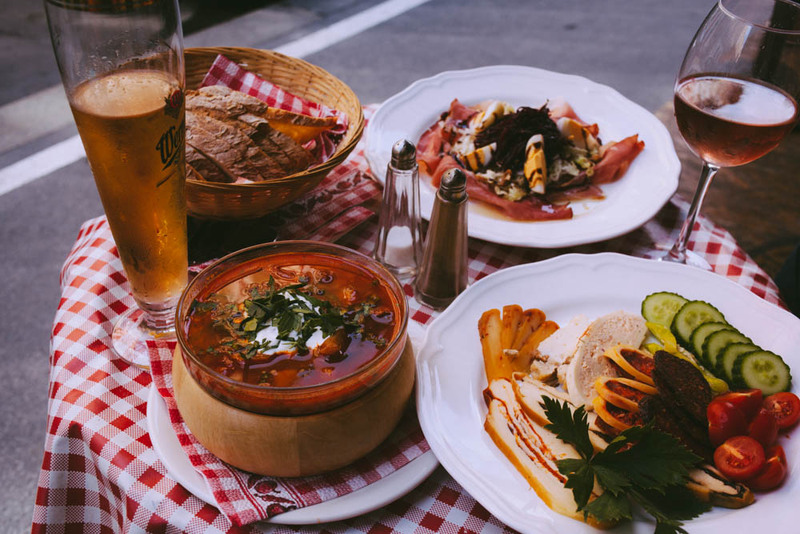 Olimpia is a bit out of the way, but close to the Keleti train station and has excellent food and a very good and pre-set and reasonably priced lunch. If you want to eat a good burger, there’s the Zing burger food truck right in the middle of the nightlife area, they make surprisingly good burgers. 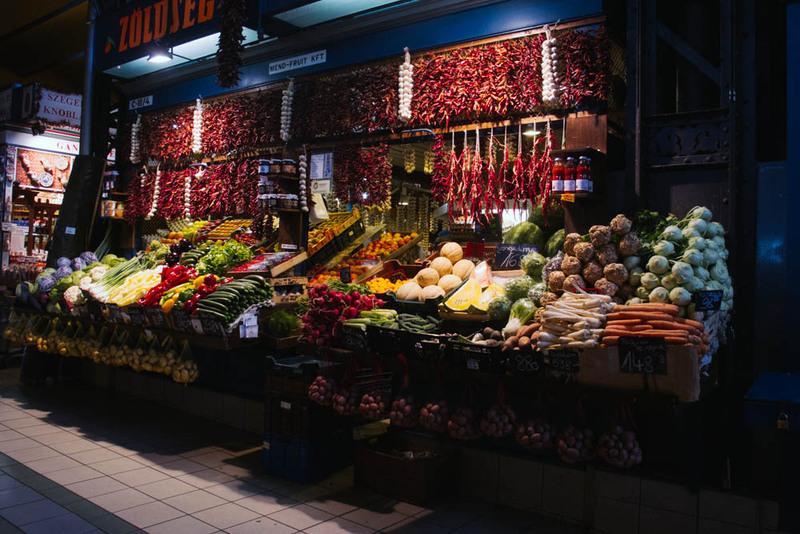 If you are at all into checking out food pr markets during your travels, then make sure to check out the Central market, which is where you can buy food if you want to cook. 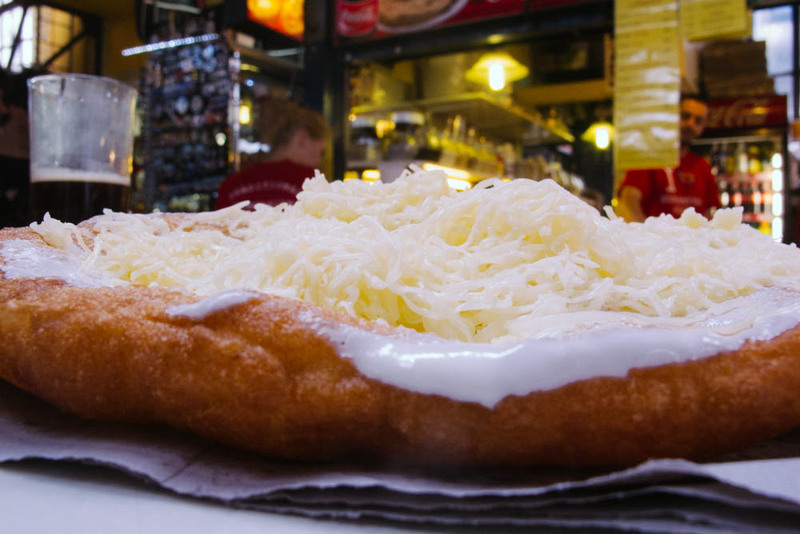 You can also try Lángos there, which is a Hungarian food speciality, a deep fried flat bread made of a dough with flour, yeast, salt and water. Although it’s also traditionally made in Serbia, Hungarians claim to have invented it. In either case it’s rather rich, so splitting one for two or more people might be a good idea. OR not – because when else would you try such fried deliciousness? Langos are served on the second floor of the Central Market Hall in Budapest, Hungary. If you are exploring the Castle on the Buda side, this place is a bit kitschy but very cute for having a cake and coffee. Nice, if pricey, rooftop bar with a great panorama of Pest. Go there in the afternoon when it’s less busy – we had a lot of fun here, and even shot one of our daily 4 o’clock videos at the 360 Bar. Check that out for the deck’s view and a review of their Aperol Spritz and Blood Mary cocktails. 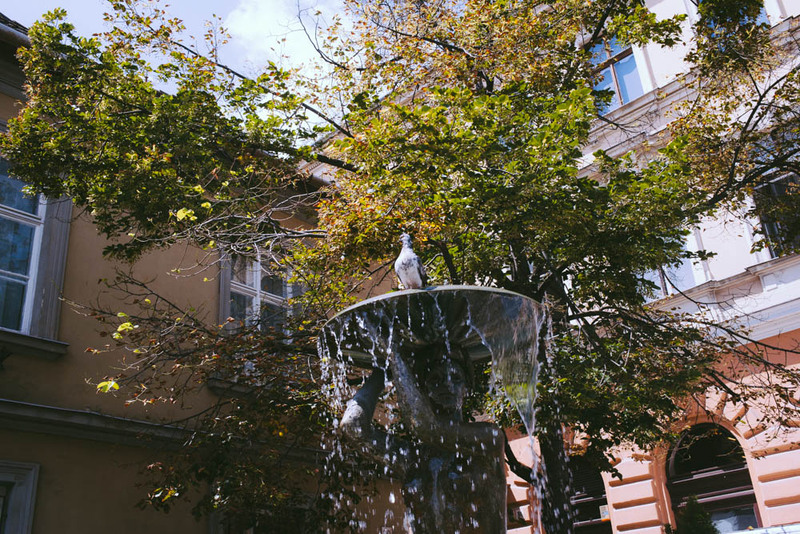 If you visit the Szechenyi bath, we highly recommed stopping by the Kertem bar in the park next door. The night we went they had bbq, live music, nice drinks, and of course awesome atmosphere. Everything is al fresco. 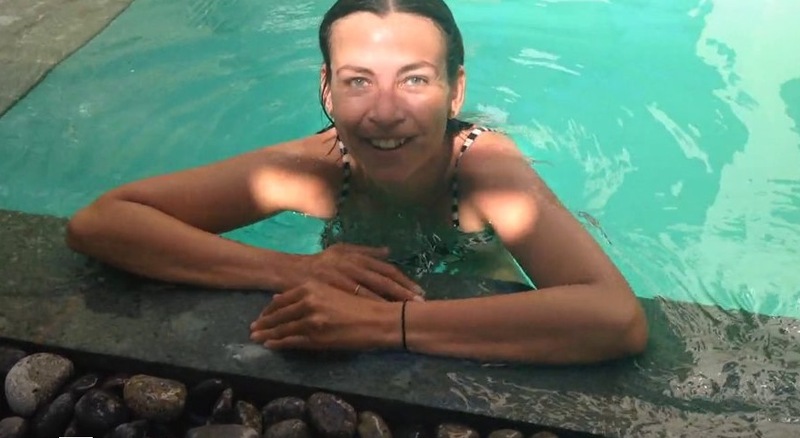 If you visit the Gellert baths and outdoor pool at the Hotel Gellert, there’s a relaxing garden bar next to it. We didn’t end up coming here, but definitely trust the recommendation. We didn’t get to see the Margaret Island, which is supposed to be a super nice, big, peaceful park. However, we will next time! In the meantime, our friends recommended the Karolyi-garden, which is small and very well-kept (unfortunately, no sitting on the lawn in the center, otherwise the guard will yell at you…) with a wine tasting bar right at the entrance.